Hyundai i40 Running Costs, MPG, Economy, Reliability, Safety | What Car? Given Hyundai doesn’t offer large engines in the i40, it’s perhaps not surprising that the car looks quite cheap on paper. But it is genuinely well priced; keep it sensible on our favourite SE Nav trim and the i40 is easily cheaper than the equivalent Audi A4, BMW 3 Series or Mercedes-Benz C-Class, while even undercutting a similar Ford Mondeo. That said, the i40’s residual values are worse than its German competition, so despite its lower list prices you can expect the cars’ finance payments to be much closer. For many, they may be so close that its more rounded rivals look better value overall. Most will be considering an i40 as a company car, though. Unfortunately, neither of the diesel engine options is particularly clean by the standards of the executive class. 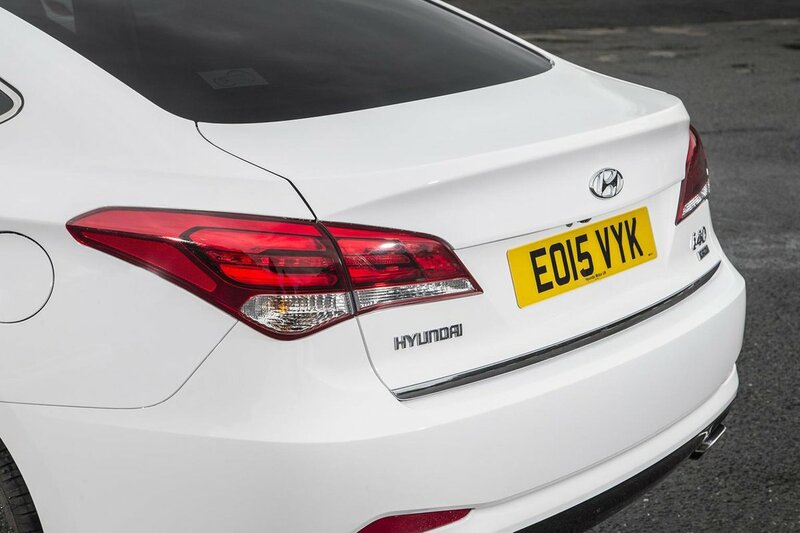 The i40’s lower P11D price may help it claw back some ground but, as with finance payments, it’s likely that many will be tempted to pay the small extra for the stronger German competition. Standard equipment is very good, though. S trim is the cheapest way into an i40 and comes with 16in alloy wheels, air-con, auto headlights, electric windows front and rear, Bluetooth and a USB connection. We’d spend the small extra on the better-equipped SE Nav, which adds 17in alloy wheels, an electric driver’s seat, auto wipers, heated front seats, front and rear parking sensors and a touchscreen navigation system with a DAB radio. SE Nav Business and Premium trims sit above that and offer some choice luxuries, but are too expensive to recommend. Every i40 comes with seven airbags (Premium cars get rear side airbags) and tyre pressure monitoring, while Premium models add lane departure warning and lane-keep assist. It’s disappointing that no model comes with automatic emergency braking – not even as an option. As such, although the i40 scored five stars in Euro NCAP’s crash test in 2011, its scores can’t be compared with the latest executive cars. 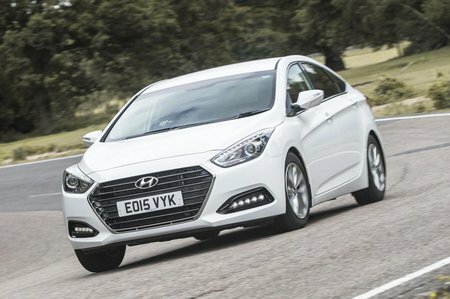 At least security firm Thatcham Research has said the i40 is excellent at resisting being driven away and good at resisting a break-in. In addition, Hyundai’s standard five-year warranty is among the best anywhere – and certainly one of the best in the executive class. 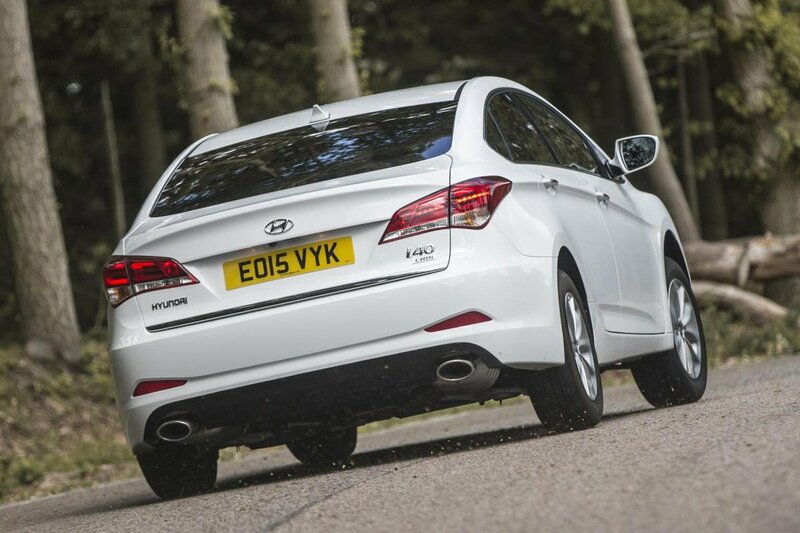 Hyundai also placed an impressive seventh out of 32 manufacturers in our latest reliability survey, although the i40 itself didn’t do so well: it came last out of the 14 executive cars included.